In the world of fast food restaurants, Chipotle Mexican Grill stands out for its commitment to “Food with Integrity.” This means serving foods made with local, sustainably produced—and often organic—vegetables and beans and meats from naturally raised—not factory farm—animals. In the past year, Chipotle has gone further by committing to serving foods with non-GMO integrity; foods made from ingredients that are not genetically modified. Last spring Chipotle posted GMO-risk ingredients in its foods on the company’s website—an unheard of and risky move for a US restaurant chain. But according to Joshua Brau, Food with Integrity program manager, revealing GMO ingredients was a logical step. “Transparency and giving our customers information about where their food comes from is a core part of who we are as a company, and we felt that GMO disclosure was a key component of that,” he says. At the same time, Chipotle also committed to phasing out the use of GM ingredients, though Brau says there was no deadline for that. 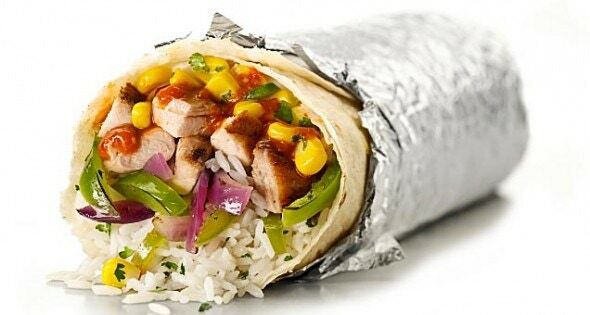 Chipotle is progressing toward its non-GMO goal. Non-GMO corn is used to make corn salsas. GMO-risk soybean oil is being replaced with sunflower oil for frying and rice bran oils for cooking, grilling, and sautéing. Brau says the transition to non-GMO oils will be complete within a couple of months. Tortillas, including corn, crispy, and chips, are a challenge because they are made from GMO-risk corn; flour tortillas, used to make burritos and tacos, are made from GMO-risk corn starch and soybean oil. “We’re testing some alternatives for our tortillas now and are working with our suppliers to develop a supply of non-GMO ingredients,” Brau says. In a recent call to stock analysts, co-chief executive Steve Ells said Chipotle will likely increase menu prices between three and five percent because of the higher costs for non-GMO ingredients. Getting meat and dairy from animals raised on non-GMO feed is a bigger challenge. Chipotle sources grass-fed beef but Brau says finding non-GMO raised chicken and pork is challenging because there isn’t enough non-GMO feed. Chipotle supports labeling of GM foods and endorsed, but did not donate to, both California’s Proposition 37 and Washington’s Initiative 522. Chipotle also uses large quantities of organic ingredients, including vegetables, spices, and beans. In 2012 Chipotle purchased more than 6.8 million pounds of organic black beans and more than 1.7 million pounds of organic pinto beans. Michigan-based Organic Bean & Grain is one of Chipotle’s suppliers of black and turtle beans. Chipotle is also sourcing organic white and brown rice from McKaskle Family Farm in southern Missouri. Owner Steve McKaskle, who is the only producer of organic rice in Missouri, has been supplying rice to Chipotle restaurants in Little Rock, Arkansas and Memphis, Tennessee for more than a year. Now Chipotle is working with McKaskle to expand his production to supply 800,000 pounds of organic rice to 14 Chipotle restaurants in the Kansas City, MO area. McKaskle aims to supply organic rice to as many as 75 Chipotle restaurants in the next two to five years. Organic tofu has also been added to Chipotle’s menu. The company is now testing a braised tofu option called Sofritas, which is available in about 40% of its restaurants on the west coast and in Colorado. It will be tested in Chicago, Philadelphia, and Washington, DC by the end of the year. Chipotle buys the tofu from Hodo Soy Beanery, an artisanal producer of tofu and soymilk in the San Francisco Bay area. Organic soybeans used to make the tofu are grown in Illinois. While organic is important, Chipotle buys locally and sustainably grown produce from small farms as much as possible. Chipotle purchases more than 15 million pounds of produce grown by farmers within 350 miles of the company’s participating restaurants. “In general the less time an ingredient spends in storage and transport between the farm and the restaurant, the better the taste and nutritional content,” Brau says. Big Ag groups may be concerned that Chipotle’s message is resonating with more Americans. Chipotle has grown to 1550 restaurants with 26,000 employees. There are plans to open another 180 to 195 restaurants in 2014. Its stock price increased 72% this year. Not bad for a company that started in 1993 when founder Steve Ells opened his first restaurant at a former Dolly Madison ice cream location in Denver. Now, Chipotle has added non-GMO to its “Food with Integrity” mission. “We want to buy the very best ingredients from the most sustainable sources to serve to our customers, and moving away from GMOs is a crucial step in that process,” Brau says. Ken is editor of The Organic & Non-GMO Report. He can be reached at ken@non-gmoreport.com.